A Very deep orange/amber color with a decent head but much retention. Malty sweet caramel aroma. Hops are there, dank and earthy with a little pine. the hops are just a hint though next to the big malt character. Smells like baked bread and massive sweetness. The taste is like the nose, very very malty. Big sweet caramel and bready malt taste. The hops come through as a pretty intense bitterness in the finish but no real character or distinct flavor. The mouthfeel is syrupy and almost cloyingly sweet. this beer will stick with you after drinking it. I saw this in the first beer shop I visited in Boston, I immediately bought a four pack. I have heard a lot about this beer but never had it before. It is almost legendary as a benchmark for other Imperial IPAs. You know what it is a great example of a very malty double, but I was still a little disappointed. The maltiness of this beer is insane, it really takes the whole beer over. My favorite types of IPA, both regular and double, is the hop flavor. This beer is certainly very well hopped, it is quite bitter, but the malt takes away in hop characteristics. 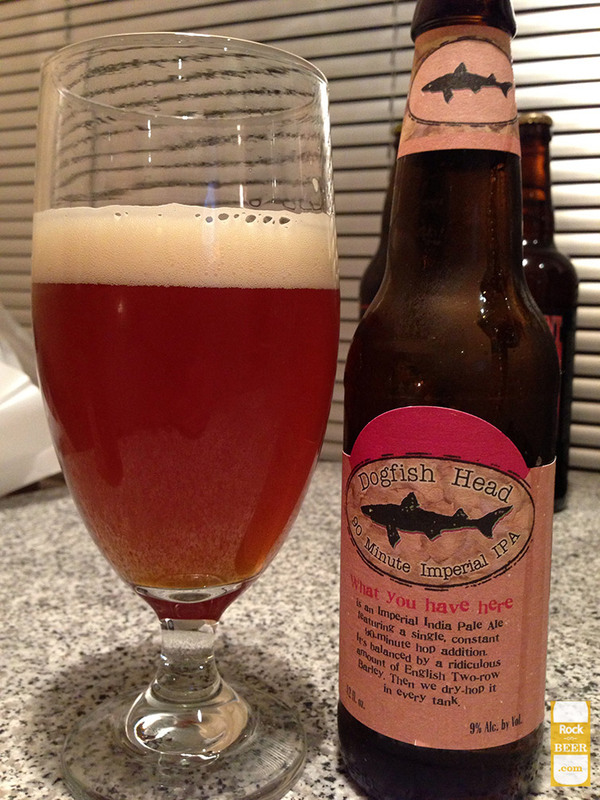 This is of course only my opinion, I know it is sacrilege to trash talk any dogfish head beers (wait until the 120 review). For me not my favorite imperial IPA.